Italy’s Liberation Day (Festa della Liberazione), or simply April 25 is a national Italian holiday commemorating the end of the Italian Civil War (started September 8th 1943) and the end of Nazi occupation of the country during World War II. In Florence celebrations are held officially in Piazza Unità, close to railway station, or in the surroundings where hikes are organized on the trails of the Gothic line by local sections of the ANPI, the association that reunites Italian partisans and their supporters. 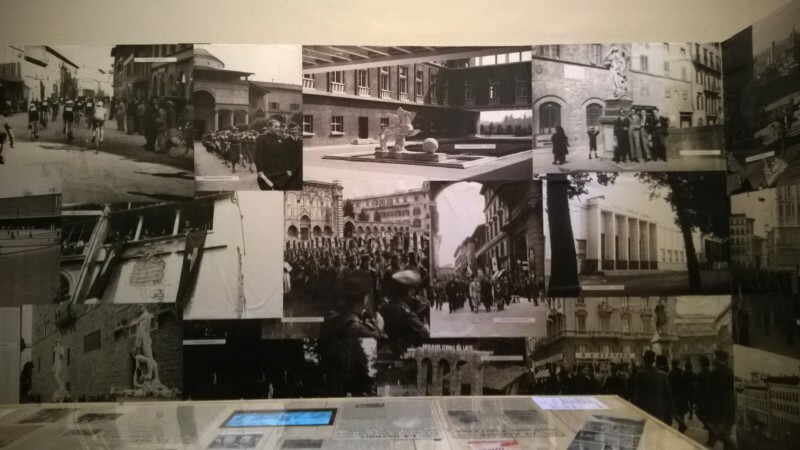 In Florence the liberation of the city is remembered on August 10th but if you would like to discover more about WWII in Florence there are interesting and lesser known sites and stories to explore. 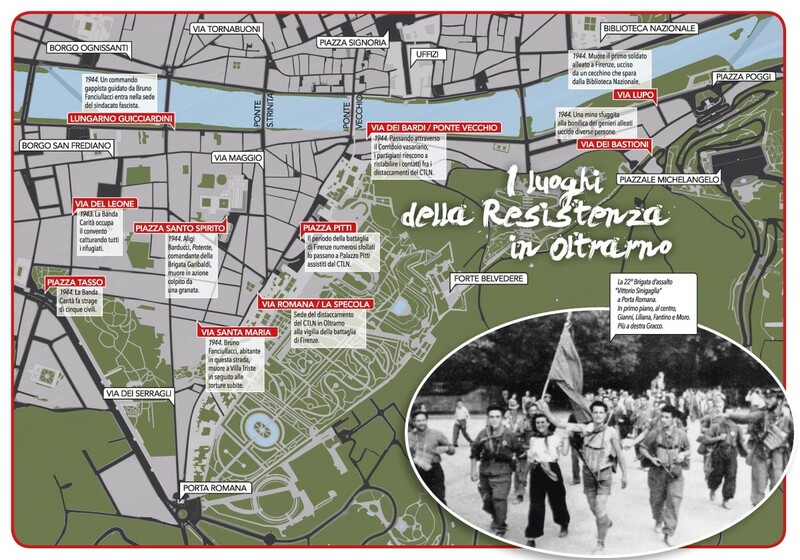 Important Florentine monuments date back to the period of the fascist regime: the Soccer stadium, the Santa Maria Novella railway station and the School of Aerial Warfare at the Cascine. Thanks to cultivated Alessandro Pavolini an annual craft fair started taking place and the May Music festival was founded. The prominent role of Florence as cultural capital was highlighted by the visit of Adolf Hitler on May 8th 1938. 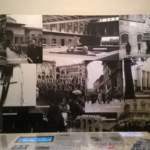 The city was adorned with flags and big parades were arranged to produce a pleasant visit, along with visits to art galleries and to the Opera. Only the bishop of Florence Elia dalla Costa forbade the use of religious buildings on the occasion. The city archives still keeps a large amount of material on the event and its preparation. Radio Cora stands for Radio Commission. It was a clandestine radio keeping contacts between the Allied forces and the Italian Resistenza. Among the supporters were Ragghianti, lawyer Enrico Bocci and two determined women: Maria Guaita and Gilda Larocca. The password indicating the connection to Radio Londres was “the Arno flows in Florence”. 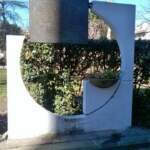 It was a rudimentary radio system that needed to be frequently moved, but on June 7th 1944 Bocci and two associates were caught at number 12 Piazza d’Azeglio while dictating a note on the Gothic line defense strategy. They were transported to Villa Triste (the Sad villa, headquarters of SS in Florence) on the via Bolognese to be tortured. Enrico Bocci was executed in the woods of Cercina a few days later, while the others destined to deportation managed to escape. The arrival of the allies on August 11th is generally considered the day of the liberation of Florence. On the morning of August 11, 1944, after the tolling of La Campana del Popolo (the people’s bell) in Palazzo Vecchio, every church bell in Florence began to sound and thousands of Florentines rose up to push the Germans out ahead of the advancing Allies. As a matter of fact German snipers were on the roofs of Florence until the end of August, and only in early September the city, with a mayor and a council, was considered safe. Already in July the tension was rising, especially after the dramatic death of one of the heroes of the Resistance, Bruno Fanciullacci. A German truck entered Piazza Tasso on June 17th at 8pm. 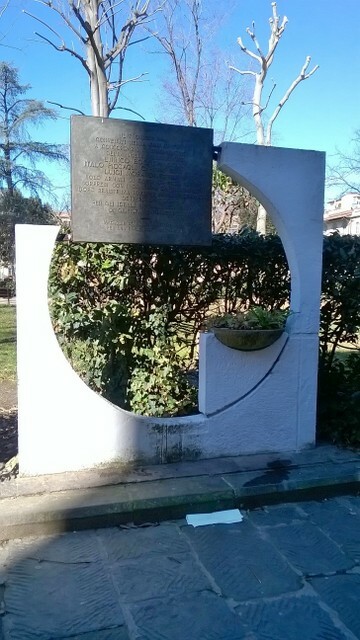 The piazza, in the Oltrarno neighborhood was known as a meeting place for Partisans. The civilians on the square were running to seek refuge in their homes but the soldiers started shooting, killing four people, including 4 year old Ivo Poli on the threshold of his house. 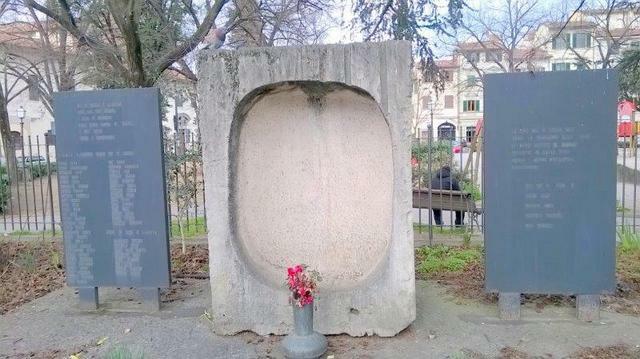 This episode known as the massacre of Piazza Tasso is remembered by a monument by Venturino Venturi on the square. A few days later, August 7th, Aligi Barducci, Partisan leader, was killed by a grenade thrown on the crowd while searching for fascist snipers in Piazza Santo Spirito. His untimely death made him the hero of the Liberation of the city. He received a posthumous medal and a memorial on the Piazza. Although the city was spared massive destruction, the retreating Germans believed it necessary to blow up all but one of the bridges across the Arno, including Ponte Santa Trinita’, the 1569 masterpiece some called the most beautiful bridge in the world, that was just downstream from the famed Ponte Vecchio. On July 29th the German command issued an evacuation order. More than 100000 people with bags, mattresses and few belongings camped in a city with no water, no electricity and no transportation. Palazzo Pitti was bursting with people. In the night between August 3rd and 4th the bridges except for Ponte Vecchio were blown up. The surroundings of Ponte Vecchio were also blown up wiping away a whole medieval quarter of the city.